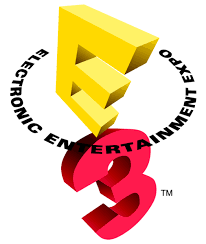 Through out day one of E3 many game trailers premiered that have made everyone go nuts. So we're bringing you some of our favorites that we've seen so far. Grab a drink, crank up your sound and take the jump to watch them. Some of these trailers are pretty violent and contain language that is NSFW. I think I'm partial to this one being an ex Cast Member and because a good friend of The POP Patrol is the dad in this commercial. But the level of detail to the park is amazing, and it's always nice to hear the Fantasmic! music. There you have it. Just a taste of the some of our favorite trailers and demos from day one of E3. Battlefield 3 and Tomb Raider for me. Glad to see you used the original music for your piece.